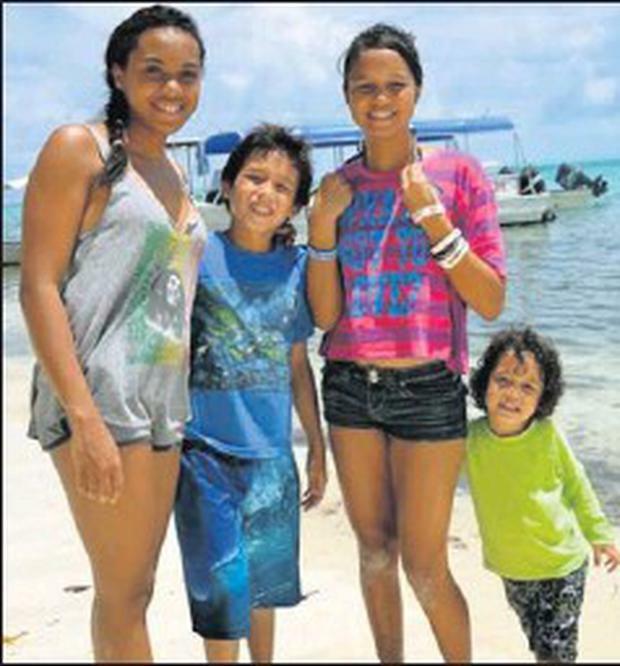 The Keane family with Keesha (16) left, with Noel (9), Diulareng (12) and Brendan (3). IT'S TIME to get the Palau Islands flag out and cheer on their only swimmer at this year's London Olympics! Keesha Keane ( 16) is the daughter of Dermot Keane of Shamrock Villas and for grandparents, Noel and Marie, it will be a thrilling few weeks of action come August. Palau is an island in the Western Pacific ocean and Keesha is the only swimmer from the country to qualify, along with five to six athletes. Regarded as the island's number one, she left for the UK last weekend and will be based in Manchester until July 22nd before moving to the Olympic Village. She goes in the 50m Freestyle on August 3rd. She will get the chance to come to Drogheda for a day or two to help celebrate Noel and Marie's 60th wedding anniversary before returning to London for the closing ceremony. Her father, Dermot, has been living in Palau for a number of years and founded a shark sanctuary on the island as part of a conservation project. He now works in a tour company, showing visitors the delights of the Pacific island. 'As Palau is a developing Olympic competitor and Keesha a developing athlete, this gives her an opportunity to experience Olympic level competition as a development incentive to continue training and competing. 'Palau does not have the level of coaching, training facilities and athlete development tools that developed nations but the goal still remains to qualify for the Olympics. 'She has earned her spot this time and will be 20 at the time of Rio Olympics,' Dermot stated. Keesha, like most Palauan children, was raised in and around the water and was just 10 when she became a certified PADI Open Water Diver. She is not the only star swimmer in the family as siblings Diulareng (12) and Noel (9) also compete to a good standard. In 2010, Keesha was selected on the Palau National Swim Team and began more intensive training and attended an intensive swim camp in Florida as well as competing in Guam (USA), Shanghai (China), Japan, and Noumea, (New Caledonia). A year later she was the first Palauan female to break the 30 second mark in 50M freestyle and has worked to improve her times ever since.